The two World Football League teams facing off for the nationally televised Thursday-night game on September 5, 1974 were sporting losing records and trying hard to stay in the playoff hunt. The Jacksonville Sharks were at 3-6 and having trouble with missed payrolls and dwindling attendance. They were on their second head coach, Charlie Tate, after original coach Bud Asher was let go six weeks into the schedule. 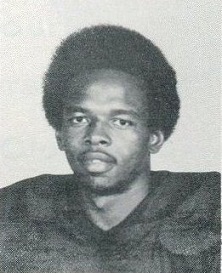 They also changed quarterbacks with rookie Reggie Oliver (pictured above) from Marshall replacing Kay Stephenson behind center. RB Tommy Durrance, a former college star at Florida, was a stalwart on offense, but one of the better defensive players, SS Ron Coppenbarger, was out with an injured knee. The visiting Philadelphia Bell had a 4-5 record and Head Coach Ron Waller’s team was known for its intricate offense directed by colorful QB Jim “King” Corcoran, the WFL’s current leader in scoring passes with 18. Running backs John Land and Claude Watts were also key contributors. But large crowds in their early home games proved to have been padded with free or heavily discounted tickets (which also happened to some extent in Jacksonville) and fan support dwindled thereafter. There were 17,851 fans in attendance on a rainy night at the Gator Bowl. Jacksonville scored on the first play from scrimmage as Reggie Oliver connected with WR Edgar Scott for a 45-yard touchdown. 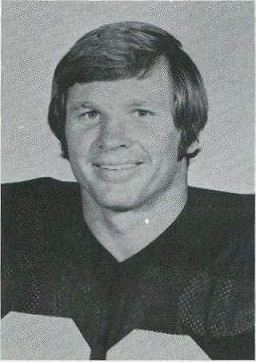 Tommy Durrance ran for the action point (in the WFL, touchdowns counted for seven points and were followed by an action point that could not be kicked). The Bell put together a 67-yard drive that ended with QB Frank Dimaggio running three yards for a TD. The try for the action point failed and the Sharks remained in front by 8-7. Still in the opening period, Philadelphia took the lead when CB Bernard Chapman returned a blocked field goal try by the Sharks 59 yards for a touchdown. A pass to RB Alan Thompson added the action point and the Bell took a 15-8 lead into the second quarter. Grant Guthrie kicked a 21-yard field goal for the Sharks to make the score 15-11 at the half. In the third quarter, the Bell blocked a second field goal attempt that was returned for a touchdown. This time it was for 77 yards by LB George Chatlos and John Land ran for the action point that extended Philadelphia’s margin to 23-11. Jacksonville’s defense was putting heavy pressure on Corcoran, but the two blocked field goal returns had the Bell in front. The Sharks came back with two scoring carries by Durrance, both covering eight yards. The first made the score 23-18 and was followed by a run for the action point that fell short. The second put Jacksonville in front by 26-23 as Durrance then ran for the action point. Both drives were helped along by Oliver’s effective passing and the Sharks added another touchdown in the fourth quarter as Oliver threw to WR Drew Buie from 13 yards out. Kay Stephenson completed a pass to RB Wayne Jones for the action point. In the closing minutes the Bell put together a 67-yard drive that led to a one-yard plunge by Land for a touchdown. It was a case of too-little, too-late. Philadelphia had squandered scoring opportunities on two missed field goal attempts, a fumble, and a bad snap on another field goal try and the Sharks came out on top by a final score of 34-30. Jacksonville outgained the Bell (454 yards to 334) and had more first downs (24 to 17). Philadelphia also turned the ball over three times, to one by the Sharks, although the two blocked field goals were costly to Jacksonville. Reggie Oliver completed 14 of 24 passes for 321 yards and two touchdowns with one intercepted. Tommy Durrance (pictured below) rushed for 72 yards on 20 carries that included two TDs. Edgar Scott caught four passes for 107 yards and a TD and TE Dennis Hughes added 101 yards on his three receptions. Drew Buie also caught four passes, for 71 yards and a score. The Bell got their revenge the next week with a resounding 41-22 win in Philadelphia. Beset by increasing money woes, the Sharks went 4-10 before folding. The Bell made it to the end of the season and, while finishing with a losing 9-11 record, managed to make it to the playoffs where they lost in the first round. Overall, Reggie Oliver ended up passing for 1415 yards and 7 touchdowns against 12 interceptions. Tommy Durrance ran for 658 yards on 218 carries (3.0 avg.) and scored five TDs. The demise of the Sharks marked the end of both of their brief pro careers, but the win over the Bell was a significant highlight for each.